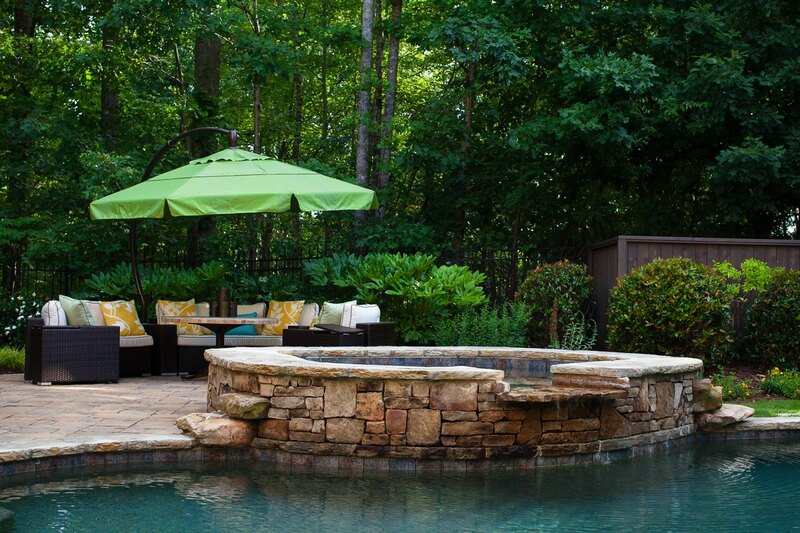 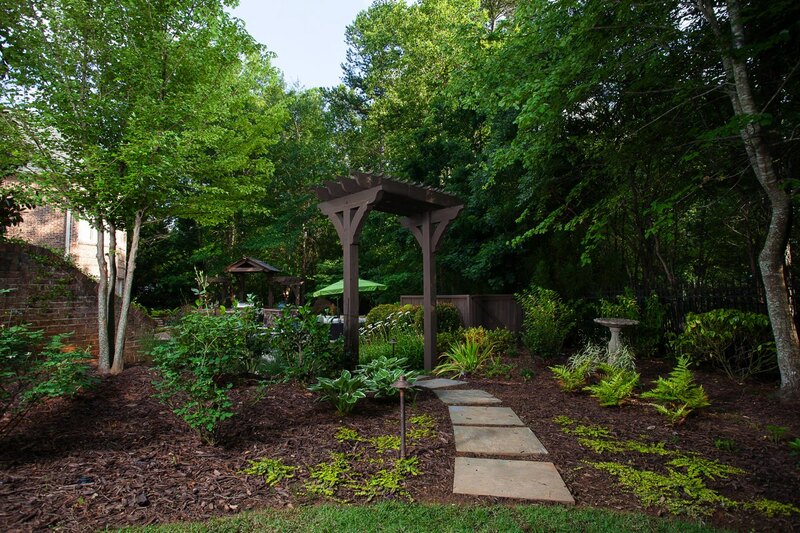 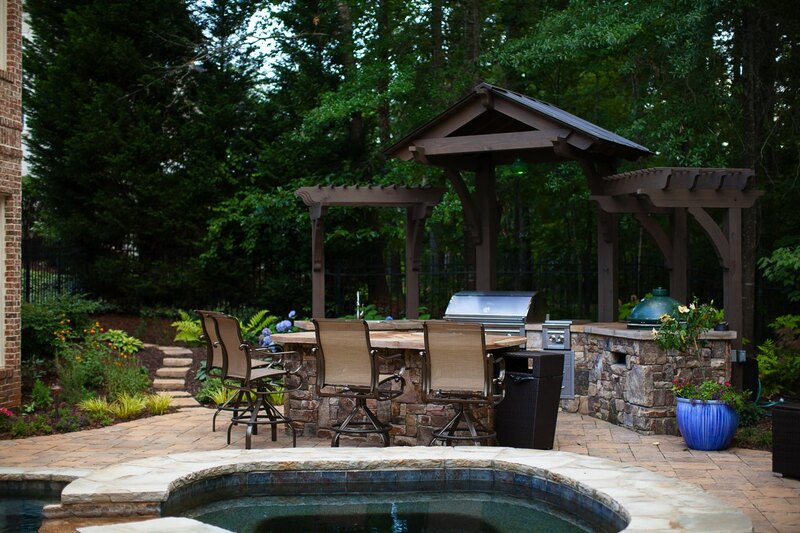 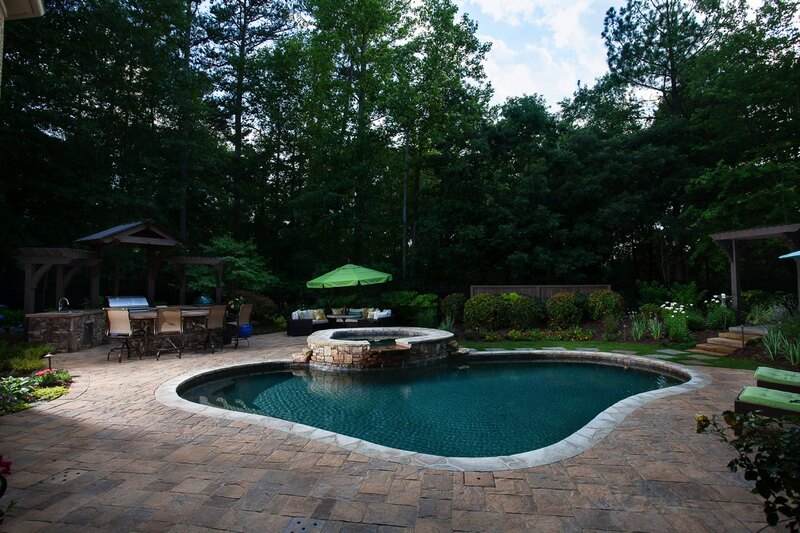 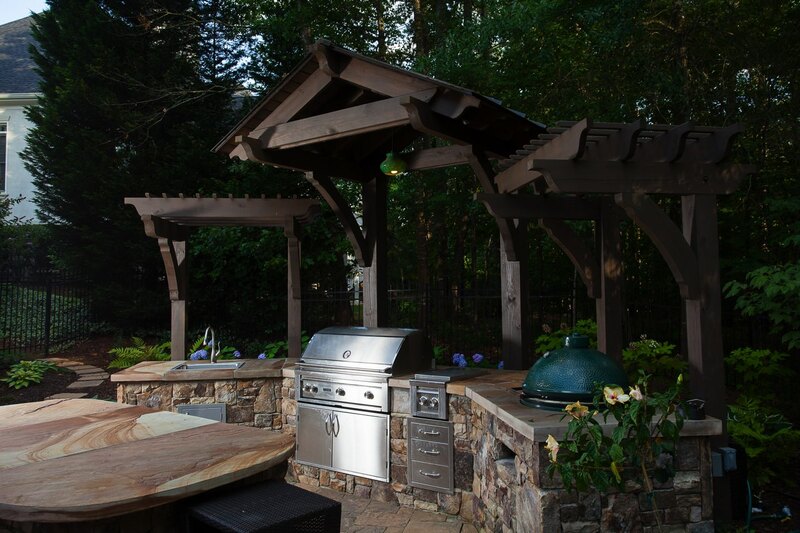 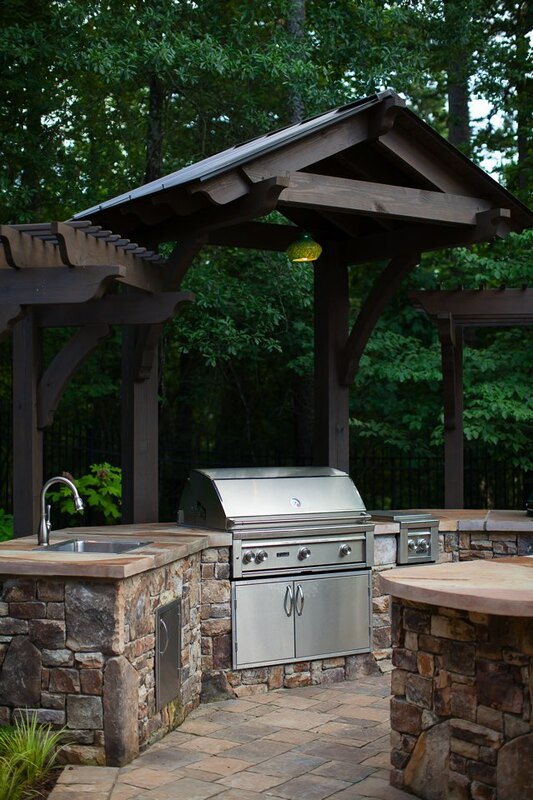 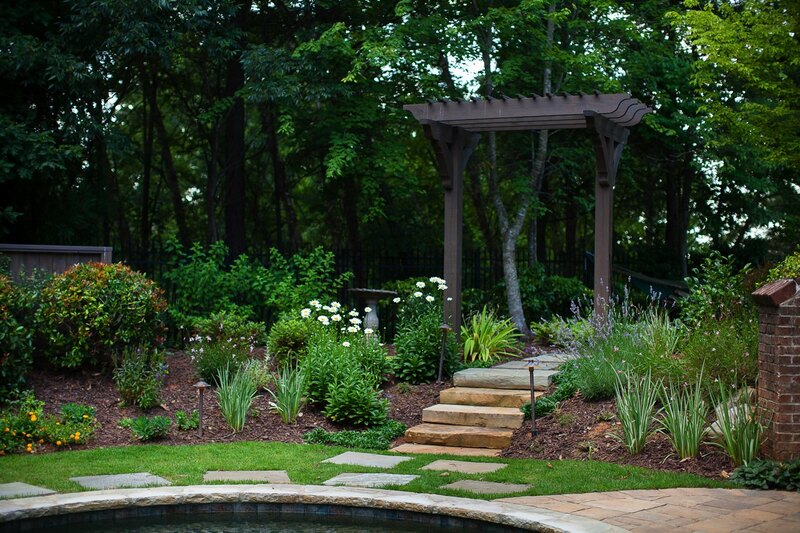 The clients desired a backyard makeover at their Alpharetta home to create more visually appealing grounds with an outdoor living space. 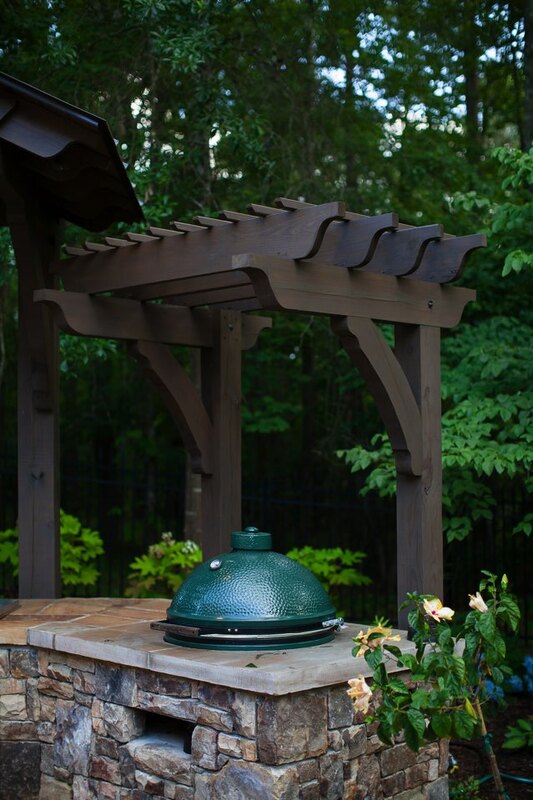 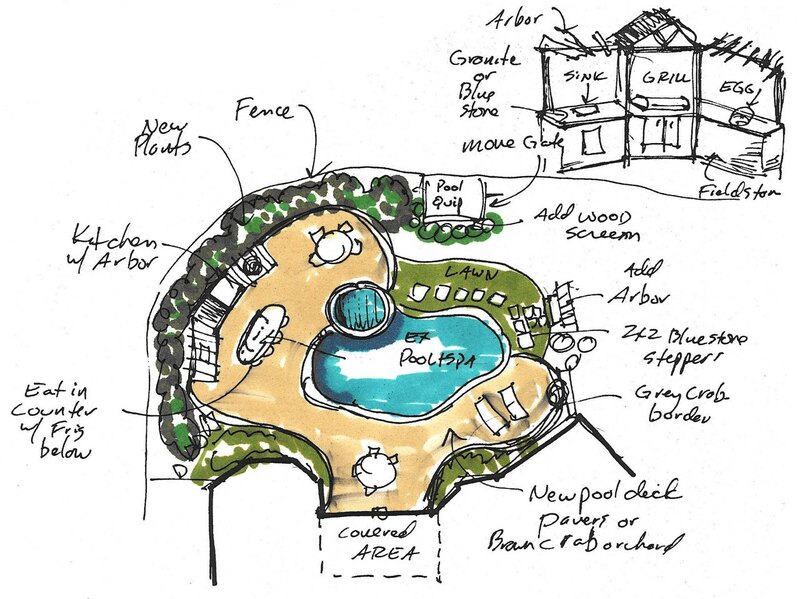 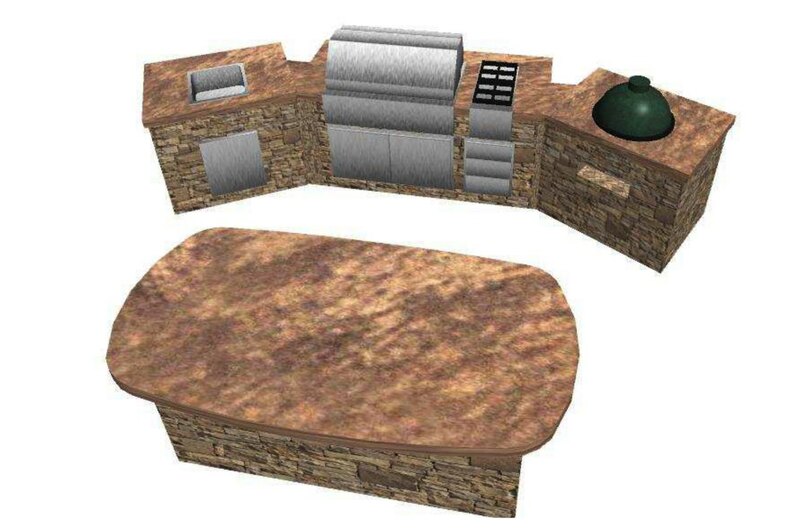 Their wish list included an outdoor kitchen, updated landscaping and new patio for the pool area. 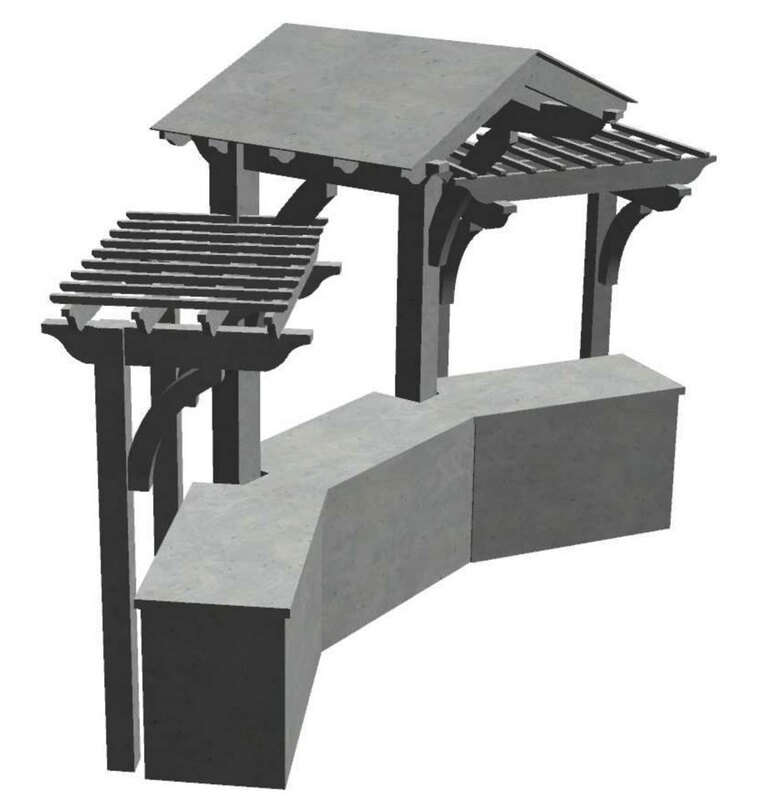 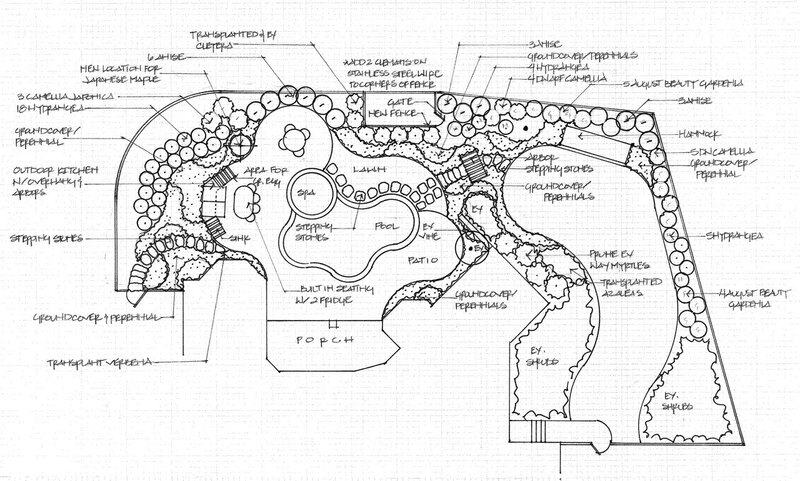 We approached this design holistically, with each of the pieces fitting together like a puzzle. 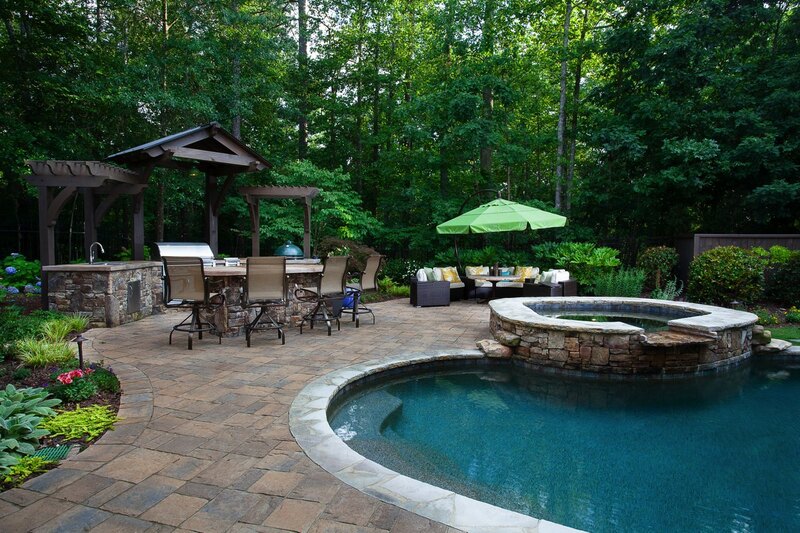 New pavers surround the pool and delineate a separate sitting area and outdoor kitchen where large or small gatherings are now enjoyed. 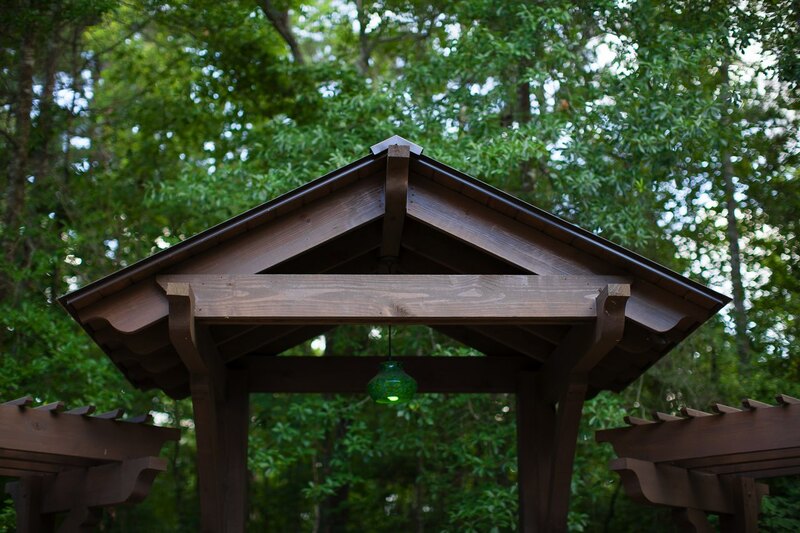 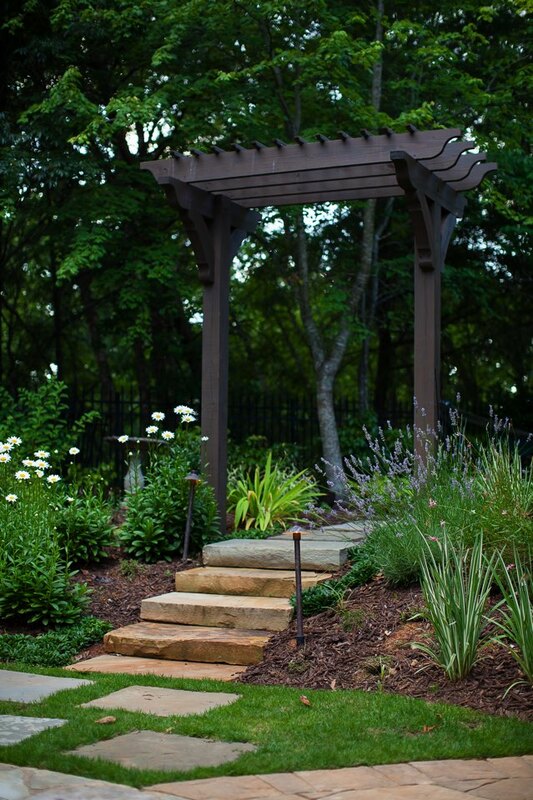 An entry arbor and stone steps usher one into the spa-like setting. 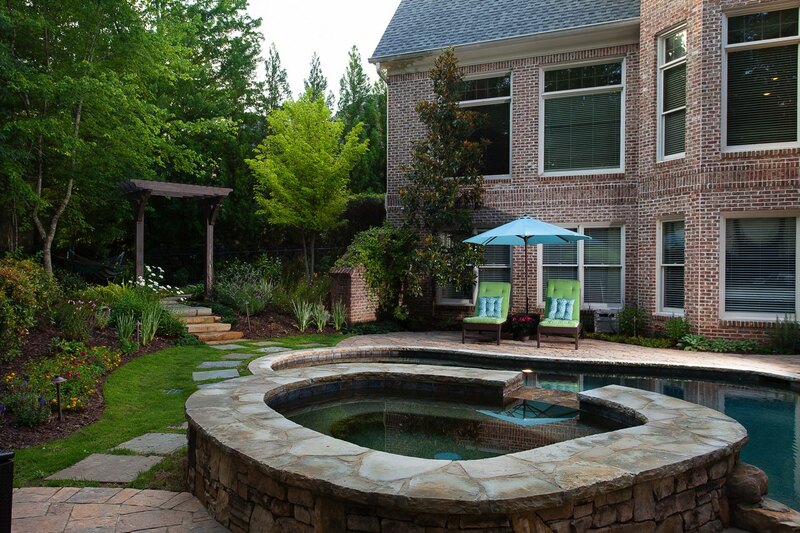 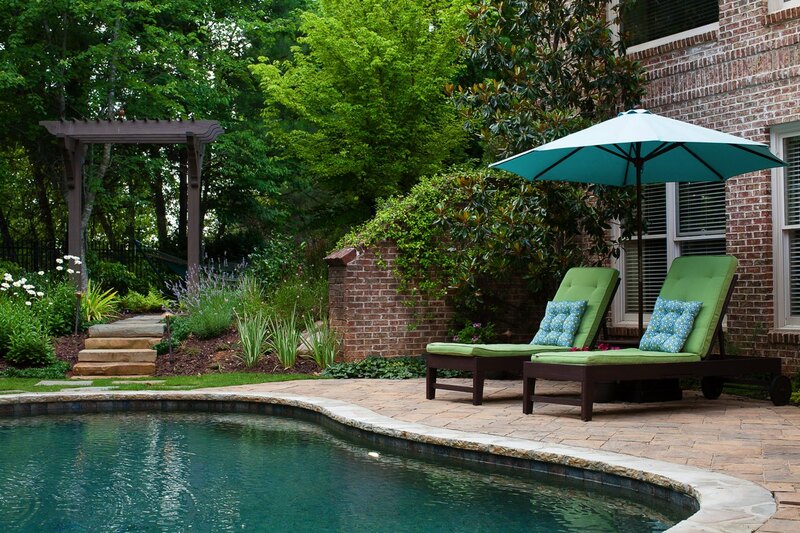 New plants add color and texture, and soften the hard surfaces at this Alpharetta home.